What can be done to help internationally adopted kids? This is the question Laura Dennis posed to me recently. While I can talk all day long about theories of openness (and remember that openness doesn’t necessarily mean contact ), I brought in Judy Miller for wise counsel about the practicalities of applying those theories in families created through international adoption. Laura published Part 1 of our roundtable on Thursday, and Judy offered Part 2 yesterday. I present to you the conclusion of our series. Laura: I understand child safety issues, and when contact is not an option or cost prohibitive. But what about Skype? Or staying in contact with the child’s orphanage or foster parents — so she can see where she lived before being adopted? To have some connection to her past culture, see what her homeland looks like? Parents might balk that it’s too painful a reminder of a difficult past. What are your thoughts? Lori: I can’t speak to this directly, but I do hear adult adoptees say that they don’t want or need to be protected from their truth, from their whole story. In fact, I hear from many that it’s the gaps in the story that are the source of trouble, not the knowing of certain parts, even painful parts. It goes back to the issue of integrating one’s identity. My book’s premise is that adoption creates a split between a person’s biology and his biology, and openness is an effective way to heal that split. I suppose you could also say that filling in all the gaps in a person’s story, so that he knows the truth of what happened on Day 1, on Day 28, on Day 57, on Day 263, on each and every day until the time he found himself in your arms, goes a long way in helping a son integrate all the parts of himself – biology, biography, and the story in between. Judy: It’s the child’s story. Parents don’t have the right to make things up (lie), sugarcoat the difficult truths (encourage fantasy) or omit them. Honesty is best. Personally, prior to adopting my oldest daughter I was concerned about talking to her about the one child policy and infant/child abandonment in China. However my husband and I began to tackle it very early on and honestly, without judgment. Before initiating these talks, I was nervous, filled with sadness and judgment. I realized I risked filtering her story through my (Western) lens, and I had no right to do so or to color hers. We presented the facts. My daughter is very matter of fact about her story, and frames it within the wealth of known Chinese historical and cultural facts. Openness in international adoption, and searches and reunions, is occurring, even in countries that were so closed/secretive, like China. Parents should be prepared and ready to support their child if he/she decides to search for or seek reunion with birth family members, and they should inform their child of this support. Raising savvy children in a social media era underscores how important openness (and safety) is. Many adopted children and adults are finding birth family members on social media. 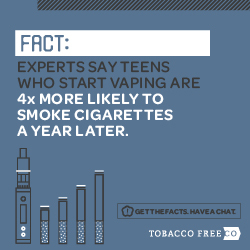 Parents, do you have a safety plan in place? It’s important for internationally adopted children to have connections to their culture of origin—past, present and future. Some children are more interested than others (true among my kiddos), and some don’t become interested until they are older. Parents should try to to honor the wishes of the child—if travel is feasible and safe, tossing out occasional pebbles to the child who doesn’t want to visit, yet. Visiting and experiencing their birth country, culture of origin, and known places the child was, i.e. welfare institute, can help a lot of the missing pieces drop into the puzzle. I can tell my girls what Guangzhou smelled and sounded like in the wee dark hours of the morning as shopkeepers opened their businesses and I can share with my son how astounding it was to look out over the lush jungle canopy from La Danta at El Mirador in Tikal, but to take it in with their senses? Priceless and healing. Laura: Can you talk a little about ways in which a spirit of open adoption could be applied to international adoption? Lori: It’s important to understand that contact is not the same as openness . The adoption grid adds a dimension to what we’ve always thought of as a spectrum. While we may not have much control over the amount and type of contact in our adoption relationships, we have total control over how open-heartedly we parent. Parenting with the spirit of openness comes down to one of the original posts Laura and I exchanged called Half-Breed, which was about embracing a Both/And heartset rather than an Either/Or mindset. Especially with international adoption, parents can affect whether or not the child will end up with two halves of himself, each independently developed (the North American half and the genetic heritage half) — or an unfractured wholeness about himself (“Yes, I am Korean, and I have been exposed to what it means to be Korean, to look Korean, maybe to speak Korean, and yes, I am American and I know all that, too). It’s a very subtle difference, and maybe Judy can address this, as well. As discussed in the above-mentioned post, you don’t want the Adoptee Math to be ½ + ½ = 1 but rather 1+1 = 1. I’m told it’s easier to integrate one’s identity that way. So what’s called for from adoptive parents is a spirit of openness. Not just to their child’s birth family, birth culture and heritage, but even more so to the child herself. Being open to her wonderings, open to giving space for the emotions she’ll move through — even grief for her losses. 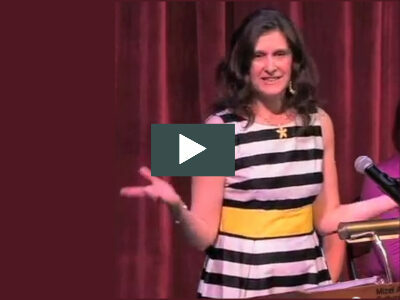 What’s called for is a spirit of openness to the process of raising a child via adoption. There will be bumps in the road – that’s life. Rather than steeling ourselves against these bumps, however, we see if we can open ourselves to the insights, lessons, joys, heartaches, the divine experiences that we’ll encounter along our life’s path. In this sense, parenting in international adoption is no different than parenting in any other kind of adoption. Judy: Children who are adopted have dual identities, in our family’s case, Chinese and American, and Guatemalan and American. To acknowledge and embrace both identities of the adopted child —birth and adopted — honors the whole child. It’s important that parents foster exploration and acceptance of both identities and help their children along the occasional bumpy process of integrating both into one identity (more of the 1+1=1). Lori said it so well, but I do want to add that without being open parents can’t help their children be all they can be. No one grows, and no one is fulfilled. Parents, it’s not about you; it’s all about your children. How are you going to help your children straddle that chasm of ambiguity? 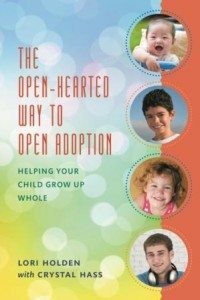 What are your thoughts on parenting with openness in an international adoption? Laura Dennis was born and adopted in New Jersey and raised in Maryland, but she learned how to be a (sane) person in California, where she lost her mind and found it again in 2001. She is a former professional modern dancer and medical device sales director. Laura currently lives in Belgrade, Serbia with her young family. 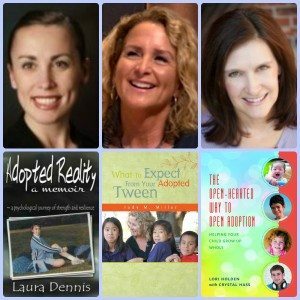 She is the author of Adopted Reality, a Memoir and blogs at Expat (Adoptee) Mommy. Connect with Laura on Facebook and @LauraDennisCA. Judy M. Miller, MA, CGE is the author of the internationally selling What To Expect From Your Adopted Tween and creator and teacher of Tweens, Teens & Beyond. When not parenting her crew of four, she provides education for and support to parents and families created or grown throughout and outside of the U.S. Judy is a member of the North American Council on Adoptable Children (NACAC), the American Adoption Congress (AAC), and the National Association of Professional Women, who elected her as one of their 2012 Women of the Year. You can follow her @MamaMiller. A good friend of mine adopted four girls from India. Her two oldest, she discovered later, were molested and mistreated there when they were very young. Both of them are trying to heal from this experience … and so is my friend … but it is a long and painful journey … one that seems difficult to talk about in terms of openness. I’d be interested to hear your thoughts on this situation, and others in which the home country was not a place that was safe or loving for the child. Such difficult things for a person to deal with, at any age, but especially for those whose trauma occurs at such a young age. I am curious what a therapist would say about dealing with such trauma. I’m guessing that at some level, the child knows that something horrid happened, and that we do no favors by keeping it buried. Maybe the best that can be done is to allow the opening to occur on the child’s timetable by being open oneself to having the hard conversations when they arise, and to being willing to make the space to help hold those difficult emotions. As I write, I’m clarifying in myself that I’m talking more about allowing an opening than about making one. Sadly, I wouldn’t trust the stories that adoptive parents are told about the children they adopted, unless they heard it directly from the children’s original parent(s), relatives, with proof of their relationship to the child. Those stories might be true or it’s quite possible that those stories or portions of them were fabricated to facilitate or expedite the pending adoption. There have been numerous cases in every continent (except Antarctica) where birth or childhood histories were falsified, with the help and encouragement of government employees and adoption agencies. No doubt, suffering the repercussions of childhood abuse is painful and difficult to heal from, and we should all be compassionate about that. Suffering the abuse of being lied to and about throughout one’s life for other people’s profit or benefit is also painful and difficult to heal from. Never being able to find out the truth about oneself and one’s own story is a violation of people’s human right to their own identity and truth. Although I don’t know, it’s possible that these children have been uprooted from a loving environment and culture to grow up with strangers in an unfamiliar world who are strangers to them and to their world, and are having difficulty with that transition (who wouldn’t). For anyone who has adopted or wants to adopt out of love, please find out the truth about their children’s lives and history. Their children deserve NO LESS respect from the people who promised to love them and take care of them. Removing them from their original environment and culture while keeping them from knowing their truth is abusive, neglectful, and irresponsible. Even if it’s not done intentionally, if you don’t know your child’s history and keep them where they’ll have difficulty finding out about themselves, you are complicit in violating their rights to their respective identities and are not helping them. I know this may have sounded too direct, but if you truly care about your children, you will help them to love, respect, and understand themselves truthfully and wholly. They deserve so much more than whatever they have been given thus far and you have agreed to take on this responsibility. They deserve their truth and your advocacy and support for their truth. And also, for those who choose to adopt internationally, how many of you are living or partially living in your child’s original country? If not, why didn’t/don’t you move to their original country to adopt your children? Are you/did you adopt for your benefit or for the child’s benefit? Aaah, you bring up a terrific point. Humans are so complex and we can’t isolate any of the gazillions of variables. Different personalities will process similar conditions in myriad different ways. Thanks for this discussion and linking to your “grid” post. I never thought about openness being distinct from contact, and I mentally filed posts about open adoptions as “interesting but inapplicable to me” as an international adoptive parent. Due to the circumstances of our daughter’s adoption, we have no choice about the level of contact. We do, as it turns out, practice openheartedness already even though she’s too young right now to grasp any of it. Great food for thought. It’s great that we get a chance to practice our openheartedness before the grasping begins. I’m so glad you found the grid helpful! Great series, Lori! It really is very important to talk about the culture of the adopted child right from a young age. It is not okay to pretend that it doesn’t exist, as many parents are wont to do. When they’re adults, they might be left wondering about the whole other culture that they could’ve enjoyed if only their parents had been more open. I think a big step toward openness in international adoption would allow children born outside of the USA and adopted by American parents to maintain citizenship to the country of birth. The fact that native nationality/citizenship of foreign-born adoptees is routinely forfeited in favor of the adopting parents’ nationality is a grave abuse of Human Right of the Child. It would have been so wonderful for my kiddos to have dual citizenships to represent who they are. We fought to make it happen, with no success. I’m curious if any parents have had success in other countries? ?